Global premium spirits business and independent family distillers, William Grant & Sons has today reported a record profit after tax of £139.8m for 2014, an increase of 4.0% year on year. Although reported group turnover decreased to £933.2m, this was entirely due to a planned reduction in the distribution of third party agency brands. This strategic shift has allowed more focus on the group’s owned portfolio of core premium brands, which saw turnover increase by an impressive 9% year on year. Record results were delivered despite challenging conditions in terms of negative foreign exchange impacts and against a Scotch whisky category that saw the value of Scotch whisky exports decline by 7% year on year. Strong value growth was delivered from Glenfiddich and The Balvenie, with Hendrick’s the world’s leading super-premium gin, continuing to grow rapidly across the world. Hendrick’s launched the world’s first and only Flying Cucumber dirigible, a 130 foot long, 44 foot tall airship, marking a return to romantic air travel allowing guests to enjoy an exquisite Hendrick’s cocktail 1,000 foot above the ground. 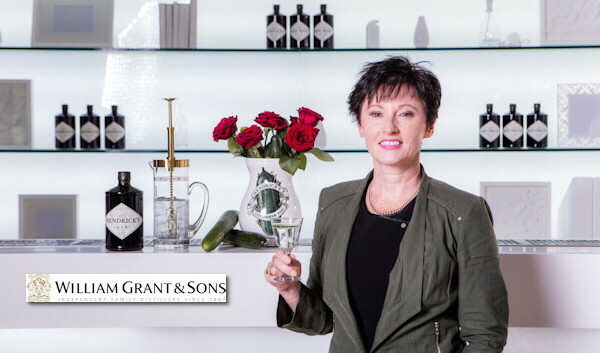 The investment in Innovation Brands continues to be a successful formula for William Grant & Sons. In a poll of 100 leading bars across the world, Monkey Shoulder, the award winning blended triple malt whisky, was named their second biggest selling Scotch whisky and more importantly their top trending whisky. During the year the group acquired the Drambuie, the iconic Scotch whisky liqueur brand, which fits naturally with the group’s premium branded portfolio and with careful nurturing is set to deliver long term growth. For the second year in a row William Grant & Sons was awarded Whisky Innovator of the Year at the Icons of Whisky Awards. 2014 saw the launch of Kininvie 17 year old, further variants of The Girvan Patent Still and Ladyburn single malt both as a 1974 vintage and a 41 year old variant. The Company continued to invest in Reyka vodka and premium tequila brand Milagro. Capital expenditure remained at record levels including a €35m investment in a new, state of the art, Irish malt distillery being opened at Tullamore in Ireland marking the return of distilling to Tullamore town after 60 years. The new distillery will support the ongoing growth of Tullamore D.E.W., the world’s second largest Irish whiskey, which was acquired in 2010, and has continued to outperform expectations.